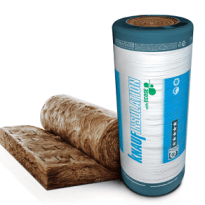 The 135mm Ecose Insulation is one of the best Roof Insulation Products on the market. Together with the fact that Ecose is manufactured to the highest international standards as well as the European standards. As a result, the Ecose has one of the best fire ratings in the world. A class-leading AA 1/1. The fact that Ecose Thermal Insulation has a Formaldehyde free resin binder makes it a class leader. Imported from Knauff in Germany we have the best 135mm Ecose Price. Regarded as one the best Thermal Insulation products for Cold Winters and Hot Summers. 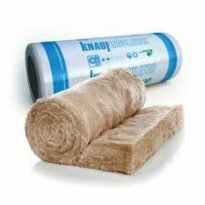 Roof Insulation Western Cape are sure their 135mm Ecose Price are the best in South Africa so give us a call for all your Roof Insulation requirements. In fact, this insulation exceeds the r-value 3.70 as required for the Western Cape and Johannesburg and Pretoria. In this case, the installed R-value is 3.78. Added to this the NRC (Noise Reduction Coefficient) 1.13. Therefore the Ecose has a great soundproofing benefit as well. Our 135mm Ecose Prices per roll are the best in SA. Ecose is an Earthwool insulation. As installers and Distributors of all Roof Insulation materials we would like to be sure even our DIY installers get this right. Installing insulation is not rocket science however there are a few basics that need to be adhered to. Firstly all wiring in the roof space must be lifted above any insulation. Secondly all down lights must have breathing holes around them. Lastly be sure to seal the roof space from end to end. As a result one must always be sure to cut the insulation correctly and at least 50-75mm wider than the beams.